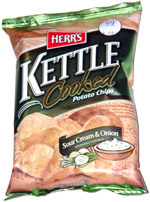 Taste test: These potato chips had a very nice sour cream and onion taste, with a mix of tasty onion and creamy sour cream. 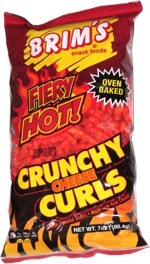 They were crisp with a good crunch, but softer than the hard crunch that some kettle-cooked chips have. The chips were were generally small, and they didn't fill up very much the bag, but they were still enjoyed quite a bit by the tasters around the chip bowl. Smell test: Very nice onion and sour cream smell.